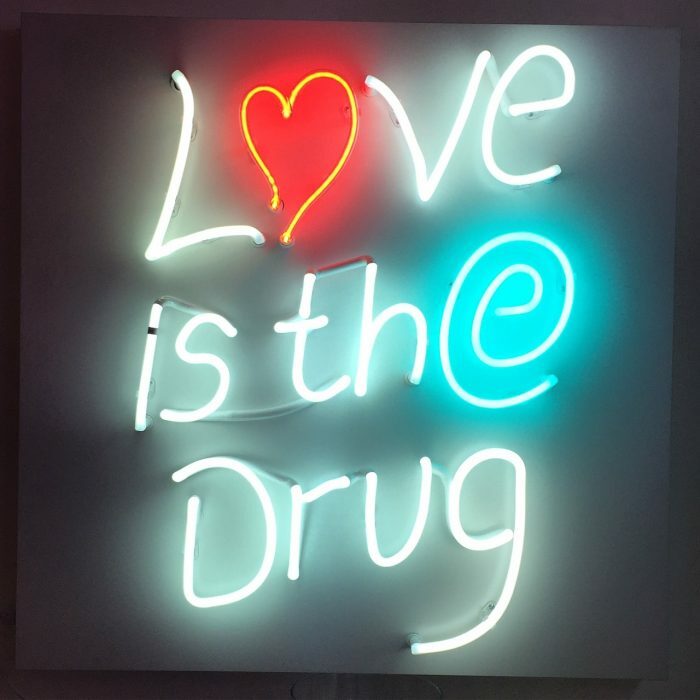 Taken from the collection “Rave Generation” inspired by catch phrases from the 90’s Rave scene. 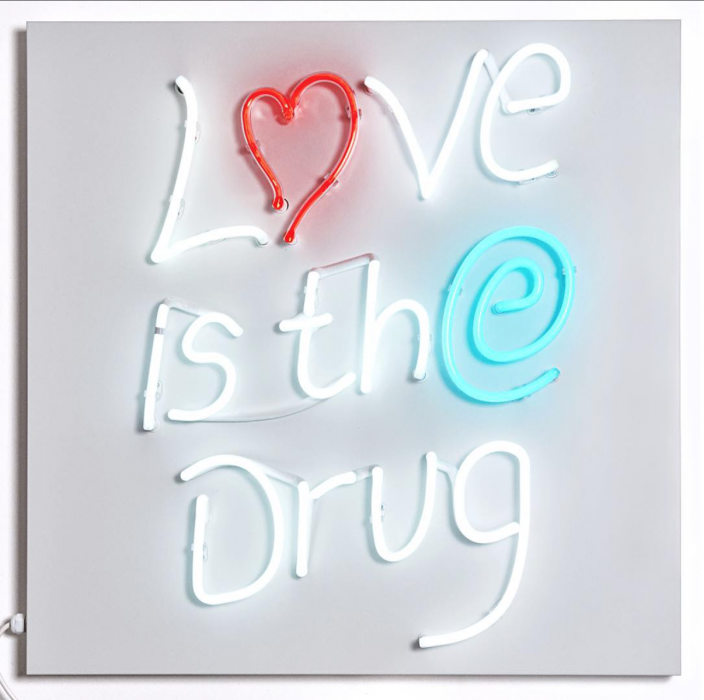 “Love is the Drug” is a 3 colour neon on aluminium background. Available as prints on museum art paper at 600 x600mm signed by Ben Rousseau.